Folded invitation printing is the best choice if you need your invites to have more details than flat cards or if you simply want to add a little suspense to your message. Give directions and landmarks to where you're holding the party or include images to illustrate your dress code! You can print these details on the inside of your invitations' design or even leave the inside blank to accommodate your handwritten messages. We have several cardstock options including our ultra-thick 17 pt. option. Your envelopes can come with envelopes so you have one less thing to worry about. 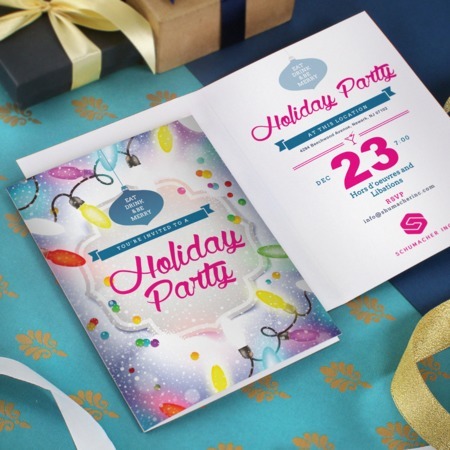 Adding coating will make your folded invitations look even more professional.